Published by Mountainblog on 05/17/2013 . The new Æscent is the ultimate lightweight performance shoe. Built on a brand new midsole-outsole package with the perfect balance of traction for hiking, rubber-on-the-rock for climbing and stability for everything from biking to cruising your longboard, the Æscent features a breathable mesh toe and high-friction Stealth S1 rubber soles. We’ve made this classic “approach” shoe the lightest, strongest, best-performing kick available. An innovative medial and lateral arch support add torsional stability and mid-foot support, while the 2-piece molded EVA midsole ensures your ride is as smooth as a magic carpet. (Size 9) 12.44 Oz/ 352.7 G Ea. 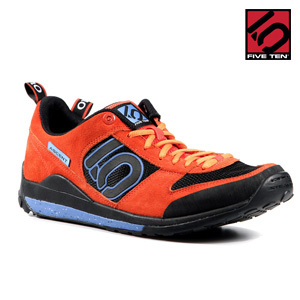 Five Ten, the Brand of the Brave, is a leader in performance, high-friction footwear. From downhill mountain bike racing to rock climbing, from wing suit flying to kayaking, Five Ten makes footwear for the world’s most dangerous sports. The Redlands, California-based company has been producing cutting-edge designs and proprietary Stealth rubber soles for nearly 30 years. 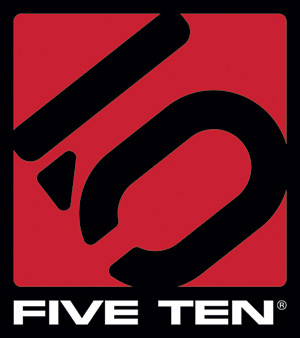 With the help of top national and international athletes and guides, combined with a world-class rubber-testing and R&D facility, Five Ten is the shoe brand of choice for the world’s most exciting athletes.